Ever been in the mood for a good espresso – a real espresso – and then been massively disappointed in the undrinkable swill served up to you? We’ve all been there. But no longer. 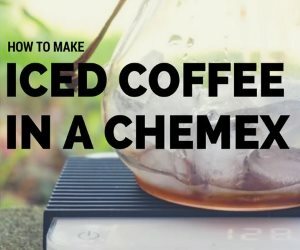 From bitter (ha) experience, I’ve established four simple signs that you’re in a real espresso bar. Of course there are always occasional exceptions, but stick with these and your chances of not wasting time and money will tremendously improve. Here we go. #1 Only one size of espresso is served. The golden rule. If you see singles, doubles, triples, or (ugh) quad espressos offered – just walk away. 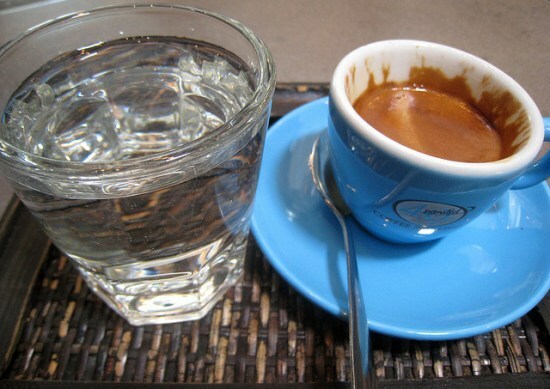 Real espresso bars and baristas know that real espressos come in one size: double ristretto (but that rarely is and does not need to be indicated). Think of it like going to a wine bar. You don’t order a small or large wine – just a glass of wine. Same with espresso. #2 The drink menu is small and simple. #3 The food offerings are very limited. As in, little more than pastries and biscotti. Espresso quality in a cafe is inversely proportional to the amount of food offerings. If you see a robust menu of sandwiches, wraps, salads, vegan food and gluten-free treats baked right in the cafe – well, it’s all probably very tasty. But the espresso will be undrinkable. Why? Because doing espresso right takes focus and dedication, and cafes devoting significant time to food and snacks are unlikely to pull consistently great shots. Occasionally you’ll find a real espresso bar that also imports a wide selection of food from a local eatery, but it’s the exception, not the rule. #4 The baristas use tampers and their hands to pack and smooth the ground espresso beans. One size espresso. Small menu. Not much food. Tampers and hands. Simple as that. 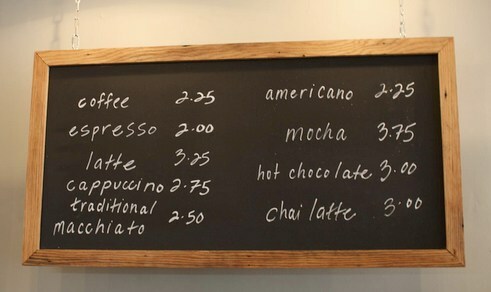 And don’t be tempted by fanciful cupping notes or siren songs about the exotic countries the beans came from – it doesn’t always mean the cafe has the equipment or the baristas to pull real espressos. Just look for the four signs and avoid the bitter taste of fauxpresso and wasted money. M Elias Keller earned an undergraduate degree in Anthropology and a Master's degree in Urban Studies from the University of Pennsylvania. He has published journalistic work in Philadelphia and San Diego, as well as short fiction in a number of literary journals and websites. Based in Philadelphia, he has searched for great espressos in New York, San Francisco, Los Angeles, and elsewhere.